The final e-novella in a thrilling mini-series about a psychic medium, from award-winning and New York Times bestselling author Lisa Unger. When Eloise’s granddaughter, twenty-year-old Finley, comes to live with her, Eloise’s abilities start to change—things seem to be getting easier. Her load is lighter, and rather than chasing down people she needs, they are coming to her. She teams up with detective Jones Cooper to help a desperate father bring his daughter’s killer to justice. Meanwhile, Finley, who is developing gifts of her own, has bigger problems than she’s willing to admit. Will Eloise help Finley and others see the difference between justice and revenge, or will things spiral out of control first? 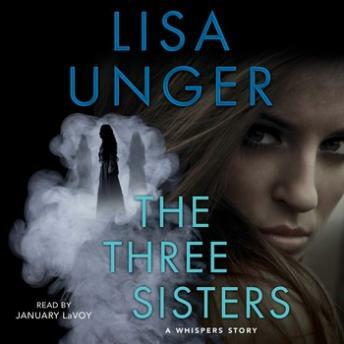 Returning to the psychological suspense that earned Lisa Unger such critical acclaim for Beautiful Lies and In the Blood, The Three Sisters is the third and final part in a gripping series from “an accomplished pro” (Kirkus Reviews).